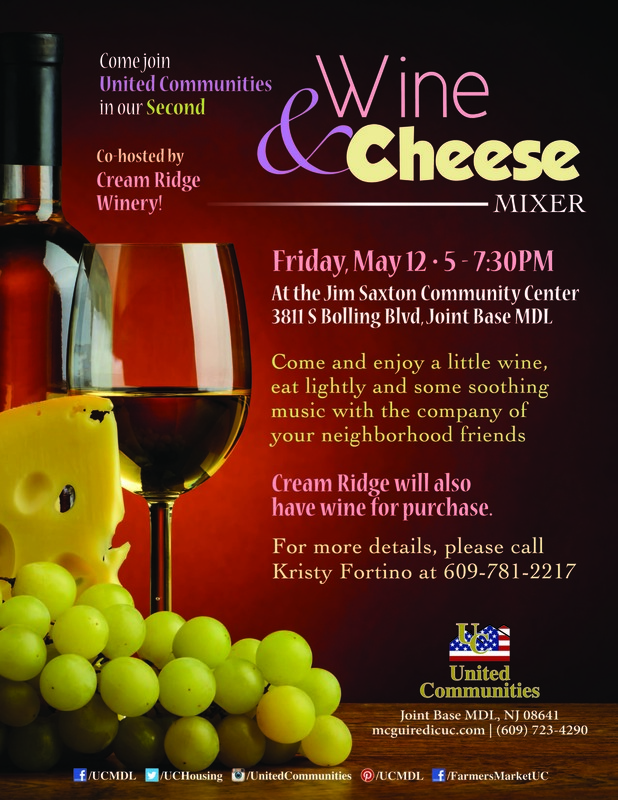 Come join us for our ever popular Wine and Cheese Mixer, co-hosted by Cream Ridge Winery! Enjoy a little wine, light eating and some soothing music with all of your neighborhood friends! Everyone's favorite local winery will be here to co-host and they will also have wine to purchase. This is an adult's only event.